Cuba is continuing to see a big upswing in American and Canadian tourism since relations between the nations were relaxed a couple years ago. As locals and thrifty travelers know, the cheapest, healthiest, most scenic—and often fastest—way to travel in Cuba is by bicycle. The rides vary in length, many combining to create multiday loops. Detailed directions describe rides leaving Havana to the west and east. Subsequent rides are clustered in the three best regions of Cuba for cycling: Pinar del Rio, Central Cuba, and the Oriente. 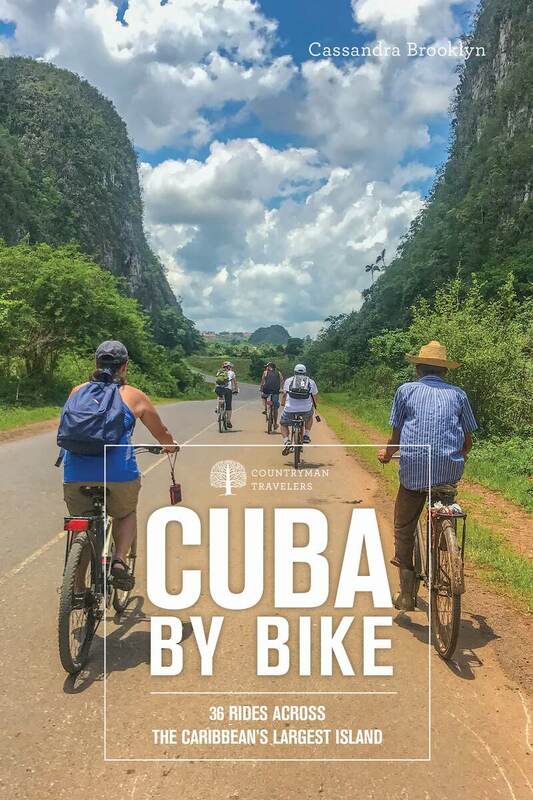 Organized cleverly by regions outside Havana that are just made for cycling, this guide will include 36 rides that make the most of every mile. In addition to directions, maps, and a scenic itinerary for each ride, there will also be crucial information for the bicycling traveler, including where to get supplies and equipment, how to safely park your bike, safety tips, and more. Cassandra Flechsig is a Brooklyn-based writer, travel planner, and tour leader specializing in the US, Caribbean, and Latin America. She runs the company Escaping NY, which organizes bike tours to Cuba. She has been traveling to Cuba for five years, to every province, and has led five successful group tours to the island in the past 18 months. Visit her at escapingny.com and on Instagram @escapeny.